Hello and welcome to my hand embroidery class! In this class, I'll teach you all the basics of hand embroidery. You'll complete two beautiful samplers that will teach you 11 different stitches. 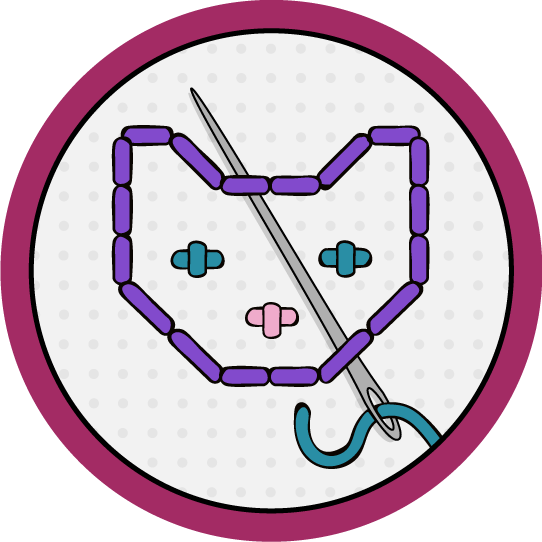 In addition to stitches, I'll teach you about hoops, floss and fabric, as well as how to make and transfer patterns and finish your embroideries for hanging in hoops. I'll also give you a great list of projects to try in the last lesson! Jessy Ratfink is a modern embroidery artist, sewist, crafter and cook. She published her first instructable nearly 10 years ago and now has over 500 instructables under her belt! She works for the Instructables Design Studio making awesome things full time. In her down time, she makes hand embroidered art and patterns for her Etsy shop, making jiggy. This lesson will teach you all about hoops! We'll go over how to choose the right hoop for your project, how to use a hoop, and how to clean your hoops. I'll also cover different hoop and frame types. In this lesson, you'll learn about patterns! I'll teach you the best places to get free and paid patterns, how to transfer patterns to fabric, and also how to make your own custom patterns. In this lesson, I'll cover different ways to start and end your floss. We'll go over regular knots, waste knots, and weaving in floss ends. 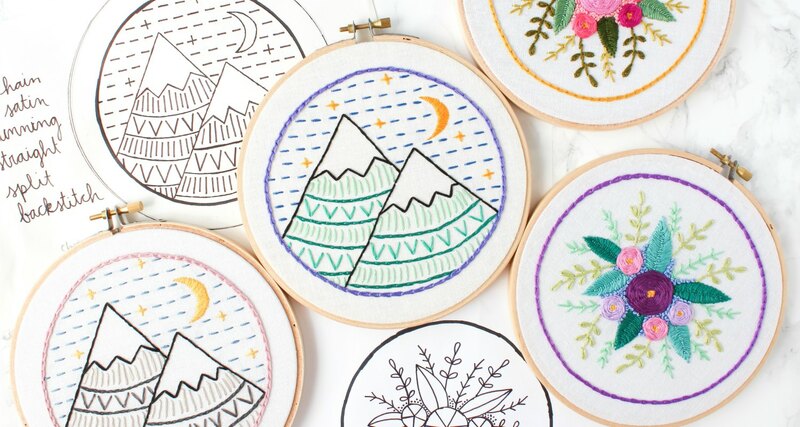 In this lesson, you'll learn 6 stitches while making a mountain embroidery, including: chain stitch, backstitch, split stitch, straight stitch, running stitch & satin stitch. In this lesson, you'll learn 5 stitches while making a floral embroidery, including: woven wheel stitch, fly stitch, stem stitch, petal stitch, and French knots. In this lesson, I'll show you how to wash your embroideries to remove all the pattern marks. I'll also show you the best techniques for drying your embroideries based on your chosen finish. Now we'll finally get our sampler finished and ready to hang! I'll cover a few different techniques for finished hooped embroideries. In the final lesson, I'll teach you some tips and tricks for better and easier embroidery. I'll also give you a list of great embroider projects on Instructables to tackle once you've completed this class.